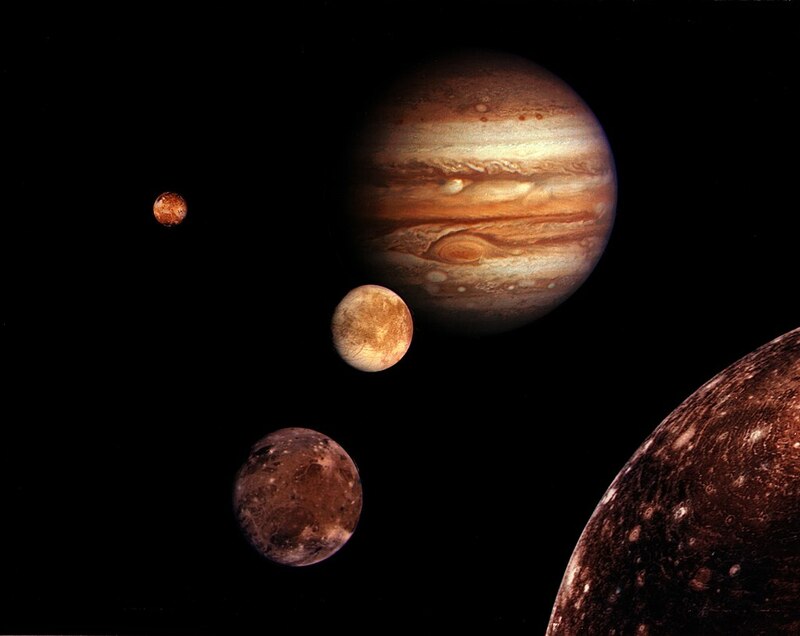 Jupiter and its four Galilean moons - Io, Europa, Callisto and Ganymede - as seen by Voyager 1. NASA image. Forty years ago this week we got our first real closeup view of Jupiter and its system of moons, a moment that I believe was a turning point in the history of space exploration. Voyager 1 flew by Jupiter on March 5, 1979, opening an extraordinary decade of exploration by this spacecraft and and its twin Voyager 2 after their launches toward the outer solar system in 1977. Both spacecraft flew by Jupiter and Saturn, and Voyager 2 went on to visit Uranus in 1986 and Neptune in 1989. Today both spacecraft are still sending back data after having effectively flown outside of the solar system. When Voyager 1 flew by Jupiter, it sent back eye popping images of Jupiter and its four major moons, Io, Callisto, Ganymede and Europa. For the first time, Jupiter’s complicated atmosphere could be seen with full clarity. The Voyager images transformed the four Galilean moons in the eyes of Earthbound observers from anonymous spheres into worlds of their own: Io was a reddish pockmarked moon that at first glance resembled a pizza, Ganymede was marked with craters and grooves, Europa appeared as an icy but relatively smooth world, and Callisto also was icy but covered with craters. Voyager made many more discoveries about the Jovian system, including a ring around Jupiter and new smaller moons orbiting the biggest planet in our solar system. The day after the spacecraft’s flyby, Voyager Project Scientist Ed Stone said: “I think we have had almost a decade’s worth of discovery in this two-week period." Three days after its closest approach to Jupiter, the departing Voyager 1 looked back and shot an image of a crescent Io, mainly to verify the accuracy of Voyager’s navigation system. When a member of Voyager’s navigation team, Linda Morabito, examined the image, she found what looked like a cloud rising from the moon's surface. As the smallest of Jupiter’s four Galilean moons, Io doesn’t have an atmosphere, so Voyager scientists soon reached the then surprising conclusion that Io has active volcanos, the first body other than the Earth known to have them. In retrospect, I look at Voyager 1’s flyby of Jupiter the first real “wow” event of humanity’s reach into space. The most exciting thing about the space probes that came before Voyager was that humans had actually succeeded in exploring worlds beyond the Earth. Their discoveries didn't really impress the public. Humanity’s reach for the Moon culminated with landings in places that resembled slag heaps instead of the mountainous spires that many people had expected, our first robotic visits to Mars dashed our hopes of finding life, Venus was shrouded by clouds, and Mercury was a cratered world that resembled our own Moon. Two Pioneer spacecraft had flown by Jupiter in 1973 and 1974, and their flights proved that spacecraft could survive the journey through the high radiation environment surrounding Jupiter. But their rudimentary imaging systems gave us only the smallest hints of the beauty of Jupiter and its moons. These “meh” moments were one reason space exploration seemed to fall out of public favour in the 1970s. I’m not saying that our early explorations were not important or that their discoveries did not excite scientists, but to the general public, the headlines were that humans had walked on the moon and robots had given us close-up views of other worlds, not what these explorers had actually found. Finally, in March 1979, Voyager 1 provided images and other data that showed that our solar system contained many surprises. These results drew attention from the public, and more media were on hand when Voyager 2 flew through the Jovian system later in the year. Even bigger crowds and more media coverage were in evidence when the Voyagers provided stunning close-up views of the Saturnian system in 1980 and 1981. I joined the media hordes at the Jet Propulsion Laboratory for Voyager 1’s flight through the Saturnian system, and the only disappointment was the opaque cloud layer that shrouded the largest Saturnian moon, Titan. More attention was paid to the spectacular features Voyager found on other moons and the strange findings from Saturn’s rings, including shepherd moons. Titan eventually gave up its secrets nearly a quarter century later when the Cassini spacecraft arrived for a long visit to Saturn with the Huygens lander that touched down on Titan's surface and found lakes of hydrocarbons and other astonishing features. Jupiter and its moons have also been explored by the Galileo spacecraft and is now being investigated by the Juno spacecraft, which is sending back amazing images of its own. Not long after the Voyager planetary flybys came to an end, NASA launched the Hubble Space Telescope in 1990. Although Hubble couldn't operate fully until 1994 due to the problems with its main mirror, it began to send back an amazing stream of images and other data that have helped upend our view of the universe. Hubble images, including those of the marks left on Jupiter by Comet Shoemaker-Levy 9, the ‘Pillars of Creation’ in the Eagle Nebula, the Hubble Deep Fields and many others, have captured the imaginations of many people. Hubble has found that the universe is a larger, more colourful and more amazing place than what we had previously thought. Other space telescopes such as Chandra and Spitzer have made discoveries of their own, and the Kepler and TESS space telescopes are finding a variety of unexpected planets orbiting distant stars. In recent years a string of rovers have revealed striking geography on Mars and found tantalizing hints of life on the Red Planet. The New Horizons spacecraft amazed many people on Earth with its surprising views of Pluto in 2014, and it started off 2019 with the first view of a Kuiper Belt object. Today we see the universe as a very different place from what we imagined forty years ago, and new questions regularly arise about its nature. Today's discoveries are just the latest in a string that followed Voyager 1's astounding findings when it arrived at Jupiter four decades ago. The Royal Canadian Mint's coin celebrating the RASC. Now that 2019 is well under way, I am looking back on last year’s 150th anniversary celebrations held by the Royal Astronomical Society of Canada, whose membership includes more than 5,200 amateur and professional astronomers from every part of Canada. These celebrations were especially memorable for me because midway through the year I had the honour of becoming President of the RASC, succeeding my friend Colin Haig from Ontario. 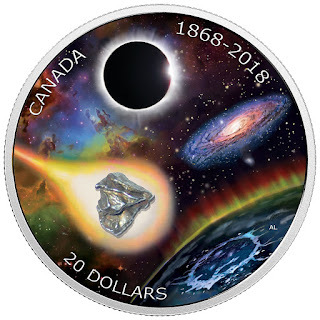 In 2018, the RASC obtained recognition in the form of special stamps issued in June by Canada Post, and a commemorative coin created by the Royal Canadian Mint that includes a piece of a meteorite. As a long-time stamp collector, I was thrilled to help unveil the stamps at the 2018 RASC General Assembly in Calgary. The anniversary coin sold out within hours of going on sale, and I was lucky to find one in a local post office for my own collection. Much of the credit for this recognition goes to the RASC's Executive Director, Randy Attwood, who persuaded both the Mint and Canada Post to include our sesquicentennial in their 2018 commemorative programs. The RASC had two national star parties in 2018, and the first one in January was carried live in a nationwide webcast. Members across Canada, including myself, have contributed astrophotos, sketches, and other artwork to our imaginingtheskies.ca website, and prizes are now being given out. My colleagues on the RASC History Committee have been busy. Committee chair Randall Rosenfeld and Board Member Heather Laird have created a great set of podcasts on our shared history in RASC, which can all be found on the RASC.ca website. Much of our General Assembly in Calgary was taken up with an excellent set of papers in a seminar called A Shared Sky: The RASC 1868–2018. We are now working on revising those papers for publication in a book in the near future. Like many other RASC members, I enjoyed the great hospitality and terrific speakers at the 2018 General Assembly from June 28 to July 1 at the University of Calgary. The opening ceremony involving local First Nations’ speakers and dancers at the U of C’s Rothney Astrophysical Observatory was especially memorable. During 2018, I was able to visit a number of centres, including the Toronto Centre where the RASC was created in 1868. I also spoke about the Hubble Space Telescope at my home centre in Victoria and at the Vancouver, Winnipeg and Sunshine Coast Centres as well. A special highlight for me was enjoying the magnificent beauty of Yukon when I spoke at the Northern Nights Dark Sky Festival at Kluane National Park in September, which I wrote about in this blog in October. I rarely get to see the Northern Lights at home on the West Coast, but this display took me back to the time many years ago when I first joined the RASC as an adolescent at the Edmonton Centre, and where I quickly became an enthusiastic auroral observer. My home centre in Victoria took full part in the RASC sesquicentennial activities, and it also was involved in celebrations led by the National Research Council of Canada marking the 100th anniversary of first light at the 1.8 metre Plaskett telescope at the Dominion Astrophysical Observatory in Saanich. In 2019, I have already visited the Edmonton and the Prince George Centres, and I am looking forward to visits soon to the Calgary and Okanagan Centres. The 2019 RASC General Assembly will take place at York University in Toronto June 13 to 16. Members of RASC will be meeting jointly with members of the American Association of Variable Star Observers, and we will be celebrating the 50th anniversary of Apollo 11’s historic landing on the Moon with a talk by James Hansen, author ofFirst Man: The Life of Neil A. Armstrong, the book that inspired the recent movie. As the RASC’s sesquicentennial goes into the history books, it is being followed up by plenty of RASC activity in 2019. RASC members and visitors mark the 100th anniversary of public outreach activities at the Dominion Astrophysical Observatory. Nancy Grace Roman in 2017. NASA Goddard Photo. On prominent display in my office is one part of the Lego Women of NASA set showing astronomer Nancy Grace Roman and the Hubble Space Telescope. On Christmas Day, Roman passed away at age 93. 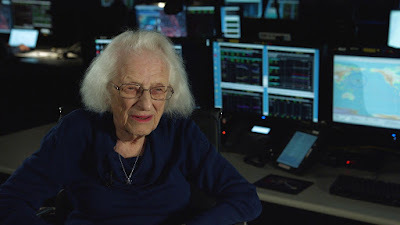 The loss of the woman widely acclaimed as the Mother of HST marks the end of a remarkable month of celebration and sadness for the Hubble Telescope team, now well into its 29th year of operating the great space telescope. Roman studied astronomy despite being strongly discouraged from doing so, and university astronomy departments actively discriminated against women when Roman completed her graduate work in the 1950s. 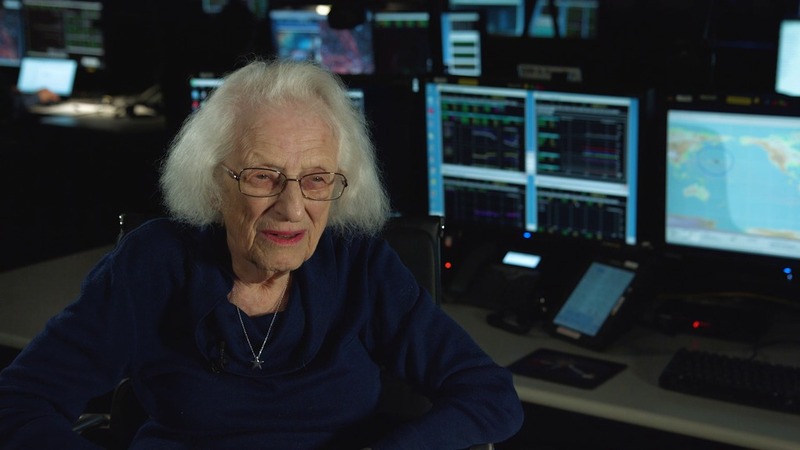 She took a job at NASA in 1959 a few months after the space agency began operations as its first Chief of Astronomy. During her career at NASA, Roman played an important role in fostering space-based astronomy through small scale space telescopes starting with the Orbiting Solar Observatory and building up to the formal start of work on HST not long before her retirement in 1979. Much of her work on HST involved getting astronomers, engineers and contractors to work together, an often difficult task. Her early research work in astronomy showed great promise, but she sacrificed that for the administrative work that helped much great science get off the ground, literally and figuratively. Although I didn’t have the opportunity to interview Roman while working on my history book on HST operations (which I hope will soon move to the publication process), I did meet her at a NASA history conference a decade ago. In her recent interviews, Roman expressed her pleasure that there are now many women astronomers in senior positions at NASA and elsewhere, but added there is still much room for improvement. Many of those women have been or are involved with the Hubble Telescope, and earlier in December, the Space Telescope Science Institute (STScI), which has responsibility for Hubble's scientific operations, announced that their most recent process for awarding research time on HST had succeeded in eliminating gender bias. With support from NASA, STScI has worked for several years to eliminate gender bias from the telescope time allocation process, but the measures from previous years had always fallen short. For the telescope time awarded in 2018, consultants helped ensure that the identities of proposing scientists were not raised in any way during the allocation process. As a result, STScI succeeded in eliminating the gender bias from their process. 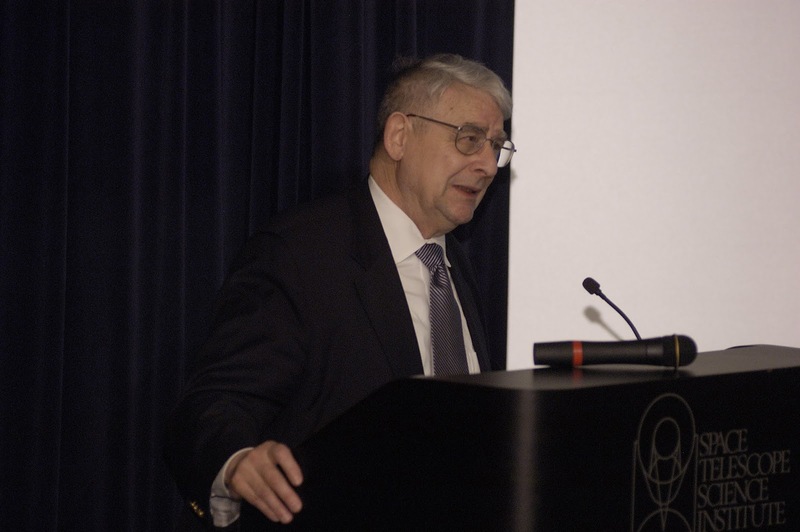 This news would doubtless have pleased Roman and also Riccardo Giacconi, the first director of STScI, who died earlier in December at age 87. STScI held a landmark conference on the place of women in astronomy in 1992 with Giacconi’s full support, a conference that helped open many doors to women astronomers at the Institute and around the United States and elsewhere. Giacconi’s contributions to astronomy went far beyond HST -- he is credited for creating the field of X-ray astronomy and won the Nobel Prize for Physics for his work in that field. In the dozen years he led STScI, Giacconi often caused controversy but made sure that the voices of scientists were always heard in decisions about the space telescope. He hired a top-flight staff for the institute and saw it create an astronomical data archive that will long outlive the Hubble Telescope. By ensuring that all HST data are made available in calibrated form, he has opened it to large numbers of astronomers and other experts who might not otherwise be able to use it. Riccardo Giacconi in 2006. STScI photo. NASA and STScI also celebrated the 25th anniversary this month of the historic first shuttle servicing mission of HST. The seven astronauts on the STS-61 mission restored HST’s vision, which was afflicted by an incorrectly ground main mirror, by installing two new instruments and by making other needed repairs. Their work turned Hubble from a national embarrassment to a symbol of America’s technological power, and STS-61 was followed by four more servicing missions that upgraded HST and extended its life to the present day and beyond. I was able to attend part of this celebration, catching up with many friends from STScI and NASA. There I saw the friendships that were forged by the teamwork between the shuttle astronauts, the people who trained them, and the satellite servicing experts from the NASA Goddard Space Flight Center who worked with others from STScI and other NASA contractors to design the ingenious repairs for HST. The last shuttle servicing mission flew to HST nearly a decade ago, and no more missions are possible because the shuttle was grounded in 2011. That means HST is slowly breaking down as parts wear out. In October, HST went into safe mode while experts at Goddard dealt with problems with the gyroscopes that measure HST’s motion and are a crucial part of its pointing system. The success of their work and Hubble’s return to service in November no doubt added to the mood of celebration at the party I attended. We won’t have to wait long for new stories of discoveries related to HST. On New Year’s Day, for example, the New Horizons spacecraft will fly by a Kuiper Belt object known informally as Ultima Thule, which was discovered in 2014 by HST. A week later, a major gathering of astronomers in Seattle will see the release of more science from HST. The people behind the Hubble Telescope hope and believe that it will still be functioning when its successor, the James Webb Space Telescope, undergoes its scheduled launch in 2021. In any case, the legacies of people like Nancy Roman and Riccardo Giacconi will continue to enrich our knowledge of the universe for some time. 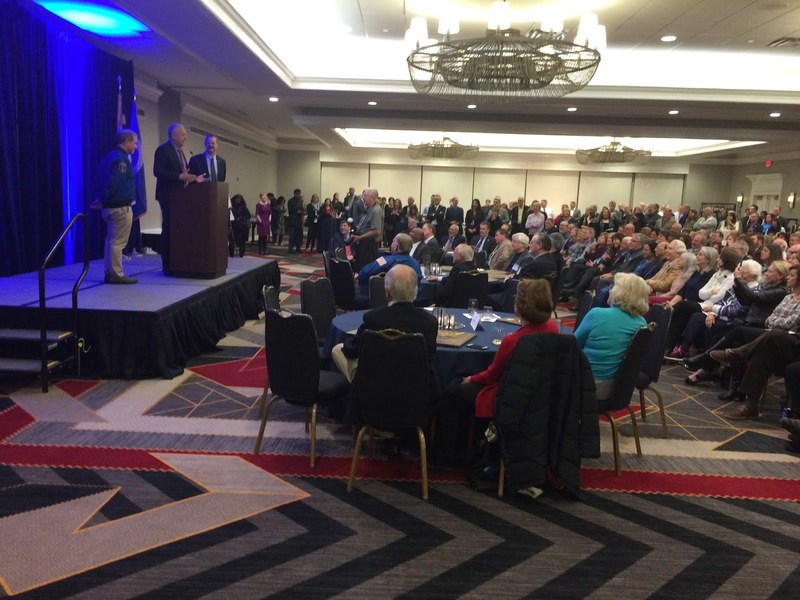 Astronauts John Grunsfeld, Mike Massimino and Scott Altman address the HST Servicing Mission Celebration, December 7, 2018, College Park MD. Chris Gainor photo. Opening session of Apollo Dialogues Workshop from the back of the room. Chris Gainor photo. 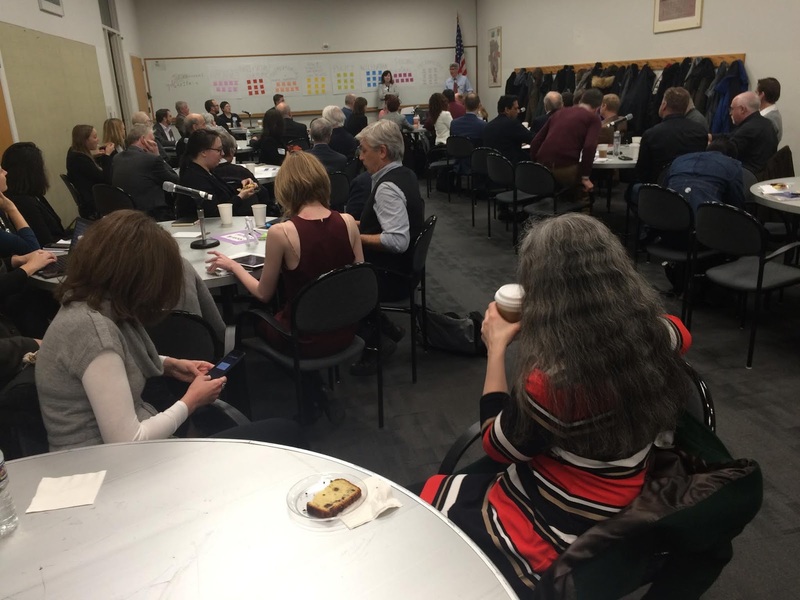 On December 7, the NASA History Division and the National Air and Space Museum’s Space History Department held the Apollo Dialogues workshop to discuss spaceflight history today and act as an “incubator” for new work in the field. The workshop took place ahead of celebrations for next year's 50th anniversary of the first human footsteps on the Moon on Apollo 11. There are not many serious historians and writers who specialize in spaceflight history, and so the 70 participants, including me, who came to the workshop at the Smithsonian Institution in Washington D.C. constituted one of the larger recent gatherings of people working in this area. The one-day event was divided into four parts, each starting with a speaker followed by discussions around tables organized by topics such as science, international questions, innovation, society, myths, culture, race, gender, and business. Based on their choice of topic tables, every workshop participant had a unique experience. In opening the workshop, NASA Chief Historian Bill Barry said he is regularly reminded of the public demand for new views of space history when filmmakers call him asking if historians have produced “the next" Hidden Figures, the book and the 2016 hit movie that told the story of the African American women mathematicians who worked for NASA at the dawn of the space age. Barry and the other organizers promised “provocative” speakers, and Asif Siddiqi of Fordham University, who is renowned for his work on the Soviet and Russian space program, fulfilled that promise with his opening talk. Apollo, Siddiqi said, has been “overwritten,” particularly in the form of positivist narratives that isolate Apollo from other events of the time. Apollo was an integral part of the Cold War between the U.S. and the Soviet Union, yet this reality is often ignored in histories of Apollo, both by spaceflight historians who concentrate on the Apollo program itself, and by historians writing on the Cold War who often ignore or marginalize the space race in their accounts. The history of the race to the Moon needs to move beyond the traditional astronaut- and leader-centred accounts to new and broader perspectives, such as those of the women in Hidden Figures who overcame discrimination to help put NASA's first astronauts into space, Siddiqi said. The history of spaceflight must take more account of power relationships in society and the world. Finally, he spoke about the impact of Apollo on succeeding space programs that have suffered in comparison because Apollo had set the bar of success so high. The second speaker, Emily Margolis, a Johns Hopkins University postdoctoral fellow at the National Air and Space Museum, discussed the uses of social media in spaceflight history. While social media can be used to trace popular discourse on space and to obtain historical data, its dynamic nature means that it is far from a permanent record. Washington Post reporter Christian Davenport, the author of The Space Barons: Elon Musk, Jeff Bezos and the Quest to Colonize the Cosmos, spoke about the challenges of getting information on private space companies such as Musk’s SpaceX and Bezos’ Blue Origin that are taking a larger role in space exploration than in the past when governments dominated this area. Bezos has been very secretive about Blue Origin, Davenport said, and Musk has become famous for his thin skin, and these realities affect what we are allowed to know about their work. The fourth speaker was Johnson Space Center historian Jennifer Ross-Nazai, who addressed the need to give more prominence to the large numbers of women who made Apollo possible. We now know about the small groups of women who worked to join the ranks of the early astronauts or used their special skills in the space program such as the women of Hidden Figures. But these accounts miss much larger numbers of women who worked in clerical and other traditional female occupations to make Apollo a success, Ross-Nazai said. Another forgotten group is women married to men employed in the space program who supported their work by taking on enlarged family responsibilities. Many interesting discussions took place at the individual tables during the day. In my case, I joined a discussion of the international aspects of Apollo. I have written about the role of Canadian and British experts in Apollo, and others have covered the German and Soviet aspects of early space programs. But Apollo also benefited from scientific work done in other parts of the world, and the first lunar landing expeditions were followed with great interest around the world and even played a role in the diplomacy of the time. I also took part in a sometimes contentious discussion about Apollo’s impact on science. Almost all historians agree that Apollo was motivated by a desire to establish dominance in the Cold War rather than to advance science, but the limited scientific work on Apollo led to major findings about the development of the Moon and our solar system, including the Earth. Because much of the knowledge gained from Apollo was subject to scientific dispute for several years, Apollo’s scientific legacy is not as well known as it should be. The fact that Apollo will soon be half a century in the past means that it is already moving out of living memory. Younger people who were born long after the astronauts returned home from the Moon look at Apollo in different ways from the people who made Apollo happen or followed the news coverage in real time on television. Back in 1969, many people saw Apollo as a part of humankind’s inevitable march of progress. Today the concepts of progress and exploration are looked at with more skepticism than they were at the time of Apollo. The success of Apollo doesn’t appear as inevitable as it once did. Instead, some scholars suggest that Apollo was a fluke or even a stunt. As we know, many people refuse to believe it actually happened at all. Or was Apollo a twenty-first century event that took place prematurely in the 1960s? These questions and many others raised at the Apollo Dialogues workshop will provide some new perspectives for historians and writers talking about Apollo in the coming anniversary year and beyond. The Apollo Dialogues workshop will stimulate our historical work in this area, and it may even generate new and thought provoking historical works about our first steps on another celestial body. 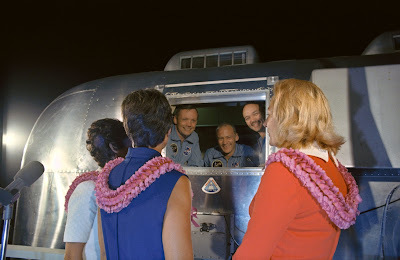 Apollo 11 crew members reunited with their wives through the window of their quarantine trailer following their flight. NASA image. The long awaited biopic of Neil Armstrong, First Man, is finally in theatres, and it is memorable in ways that set it apart from previous movies about the space program, especially the ensemble epic The Right Stuff, the historical cliffhanger Apollo 13, and the uplift of Hidden Figures. The New York Times hit the nail on the head by calling the film “sweeping and intimate,” referring to First Man’s unwavering focus on Armstrong and his family that excludes almost everyone else he worked with to make it to the Moon on Apollo 11. The film takes Armstrong from his days flying the X-15 in the early days of the 1960s through to a recreation of his reunion with his wife Jan in the Lunar Receiving Laboratory shortly after Apollo 11. In between Armstrong is permanently scarred emotionally by the death of his young daughter Karen before he joins the astronaut corps, where he survives brushes with death on Gemini 8 and a crash of the balky Lunar Landing Training Vehicle, and deals with the loss of his astronaut friends Elliott See in a jet crash and Ed White in the Apollo 1 fire before Apollo 11 launches to the Moon. As befits a film based on a biography written by the great aerospace historian James R. Hansen, First Man contains many uncannily accurate recreations of Armstrong’s world. Some inaccuracies are introduced in the interests of moving the plot along. As well, the lunar surface in the final moments of the Eagle’s descent is shown to be much more rugged than it really was, only to give way to a more accurate surface once the astronauts walk on it. And the filmmakers couldn’t resist the temptation to substitute the television shot of Buzz Aldrin’s descent of the LM ladder in place of the poorer quality view of Armstrong’s first step. These are minor quibbles. The most striking aspects of First Man are its unrelenting darkness and the grittiness of its space scenes. Much of the action takes place in curtained rooms or at night. When the sun makes a rare appearance, one is tempted to squint in discomfort. And the launch of Apollo 11, which in reality took place on a brilliantly sunny July morning, is depicted as taking place on a dark, cloudy day that reminds one of the stormy launch of Apollo 12, complete with rain stains left on the spacecraft windows throughout the flight. The spacecraft interiors have the look of surplus aircraft from World War II. Armstrong was often criticized for his bland demeanor. Director Damien Chazelle has transformed this aspect of Armstrong into gloom and emotional isolation caused by the tragedies he encountered on his way to the Sea of Tranquility. The film's dark tone also reflects filmmaking fashions of today's harsh and polarized world. First Man's tight focus on Armstrong's struggles means that filmgoers will learn very little about the background of Apollo, aside from John F. Kennedy's summons to reach the Moon before the Soviet Union. And a short protest sequence is arguably the only time that the film acknowledges that the action is set in the 1960s. Instead of The Right Stuff or Apollo 13, First Man's gritty style reminds me more of two recent Russian films on its own space program, Spacewalk and Salyut 7. Having said all that, the harsh realities and the thrills of space exploration are depicted in memorable fashion in its flight sequences. First Man is essential viewing for anyone interested in the central event of the 1960s Space Race. 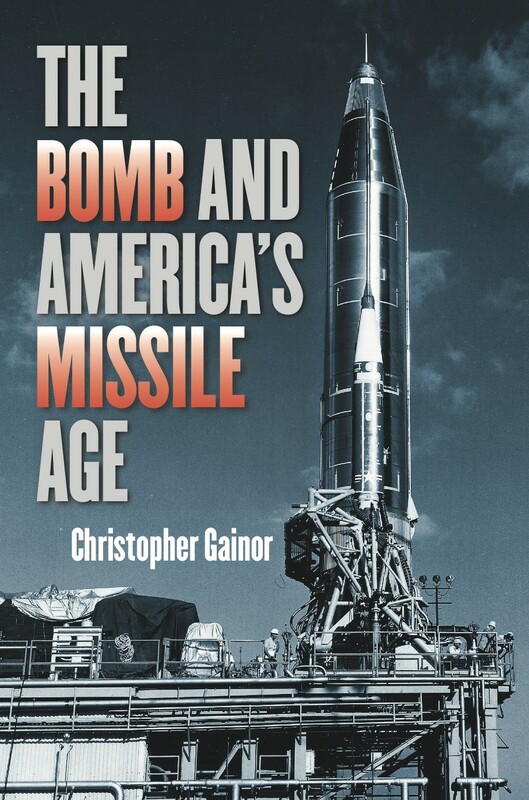 My fifth book, The Bomb and America’s Missile Age, which has just been published by Johns Hopkins University Press, deals with the creation of the intercontinental ballistic missile or ICBM in the 1950s. Although the birth of the ICBM is an important event in both the history of nuclear weapons and of space exploration, the facts behind this event have been hidden or misunderstood for decades. The Soviet Union’s first ICBM, the R-7, shot into the headlines on October 4, 1957, when it was used to launch the first artificial satellite of the Earth, Sputnik. The surprise and consternation Sputnik caused around the world and especially in the United States led to major misunderstandings over the history of ICBMs that persist to the present day. The R-7 was developed in secret, and later its story was distorted as part of larger Soviet propaganda narratives. The openness that followed the fall of the Soviet Union in the 1990s allowed the real history of the R-7 to be told. The creation of America’s first ICBM, the Atlas, has also been surrounded in myth. 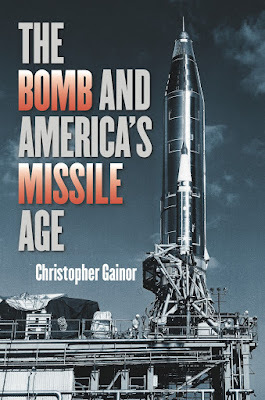 The Bomb and America’s Missile Age, deals with those myths as it tells how marrying long range ballistic missiles to nuclear weapons went from an idea at the end of World War II to a high priority national program in the spring of 1954. Both Atlas and the R-7 were liquid fueled rockets that were better suited to be space launch vehicles than ICBMs. Atlas first went on station as an ICBM in 1959 and was used for that purpose until 1965, when it was replaced by more suitable Titan and Minuteman ICBMs. The R-7 served as an ICBM over roughly the same time span. Because the R-7 was built much larger than it needed to be for military purposes, it was able to launch large payloads into space, including Sputnik, many other satellites, the first Soviet probes of the moon and neighboring planets, and virtually all of Russia’s human spacecraft up to the present time. The U.S. government chose to use smaller rockets than Atlas to launch its very first satellites, which is one reason why the history of Atlas has not been adequately studied until recently. But Atlas served as one of the primary launch vehicles used in the U.S. space program from 1958 until the end of the 20th century, launching America’s first astronauts into orbit, along with many important satellites and space probes that explored much of the solar system. Many works analyzing the roots of America’s missile and space programs were based on assumptions made in the wake of Sputnik, and they missed the realities of the decade that followed World War II, when America’s military was struggling with many technological, organizational and financial challenges that have since been forgotten. ICBMs were built by military forces and were designed for military purposes, but the military factors that dictated the development of Atlas were often ignored in earlier accounts of its history. In writing The Bomb and America’s Missile Age, I researched how the U.S. Air Force and other services really saw missile programs in the postwar era. While it is well known that while the German ballistic missile known as the V-2 advanced rocket technology in World War II, its many deficiencies limited military interest in larger ballistic missiles in the years that followed the war. In the 1950s, technical advances for missiles and new military needs created by the hydrogen bomb converted skeptical scientists, engineers and military officials into advocates for ICBMs. Many of the German rocket experts who built the V-2, most famously Wernher von Braun, went on to work for the U.S. Army and then NASA after the war, and their part in the U.S. space program has been exaggrated due to von Braun’s prominence as an advocate for space travel in 1950s and 1960s America. This book helps set their contributions to space programs into their proper context. Without ICBMs, humanity’s initial reach into space might have been much slower than it was. I believe that The Bomb and America’s Missile Age provides a fresh and more accurate account of this episode in the history of nuclear arms and the events that preceded humanity’s first steps into space. My work on this book began more than a decade ago as I did research for my Ph.D. thesis. In the years since I completed the thesis, I rewrote it into a narrative form for general readers. This book is now available from http://jhupbooks.press.jhu.edu/content/bomb-and-americas-missile-age and from booksellers. 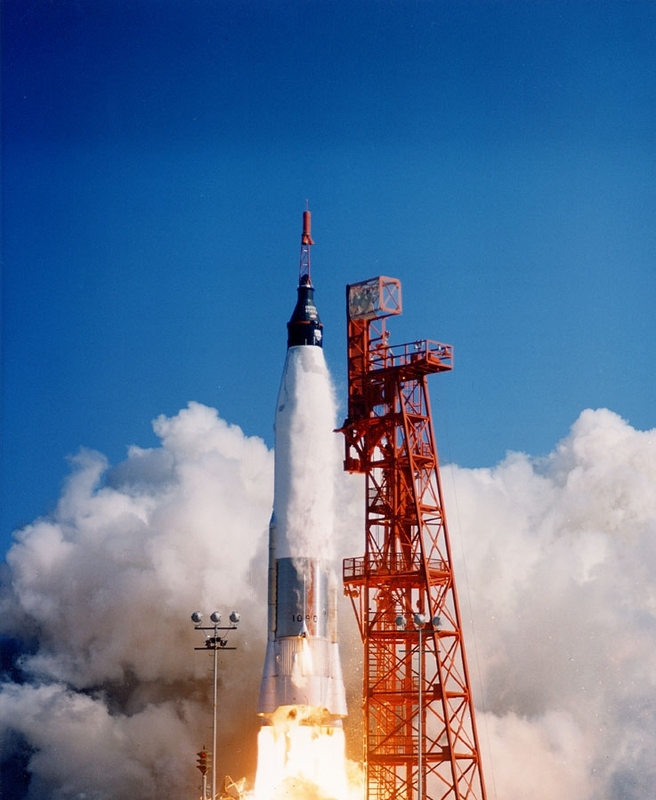 An Atlas rocket launches astronaut John H. Glenn into orbit in 1962. NASA Image. Recently I got one of the best speaking invitations I’ve ever received, from the Northern Nights annual Dark Sky Festival at Kluane National Park and Reserve in Yukon. Kluane is home to glaciers, lakes, streams and the Saint Elias Mountains, including Canada’s tallest mountain, Mount Logan. I spent the weekend of September 21 in the park at Kathleen Lake near Haines Junction with stargazers from around Yukon and beyond as the guest of the Yukon Centre of the Royal Astronomical Society of Canada (RASC). The amazing scenery there, which rivals any other National Park in Canada, was enhanced by the fall colours. The first evening of the festival was blessed with excellent weather for stargazing, but an even bigger treat was in store: a gigantic display of Northern Lights or Aurora Borealis that lit up the skies of Canada’s north in the early hours of September 22. Starting before midnight and going until sunrise, this display included many different forms of Aurorae, including arcs, rays, flames and spots, in green with hints of red and purple. Enjoying this display in a sense took me full circle in my life as an astronomer. When I first became interested in astronomy as an adolescent, I lived in Edmonton and enjoyed a summer cottage further north in central Alberta. When I joined the RASC at that time, I met Dr. Earl Milton (1935-1999) of the University of Lethbridge, who enrolled me as an observer in his ongoing study of Auroral displays from the Edmonton area. Dr. Milton had begun his work in the 1950s, a time when Canadian scientists were intensifying their studies of the ionosphere in the upper portions of Earth’s atmosphere, the area where Aurorae are generated. Most memorably, Canada’s first satellites, Alouette and ISIS, were dedicated to studies of the ionosphere. This photo and the photo below show larger displays near Haines Junction, Yukon. The newsletter of the Edmonton Centre of the RASC, Stardust, includes my reports in its 1968 and 1969 issues on the Auroral studies, and exhortations to observers to fill in their observation forms. After I completed high school, I moved away to areas that rarely enjoy displays of the Northern Lights. As well, the growing problem of light pollution makes Aurorae harder to see in places like Edmonton. I’ve only seen them on rare occasions in recent years, although I’ve noted with great interest the photos of Aurora Borealis and Aurora Australis taken by astronauts flying on the Space Shuttle and the International Space Station, and images of Aurorae on planets such as Jupiter, Saturn, Uranus and Neptune. Aurorae are created by the interaction of the solar wind with magnetic fields around the Earth and other planets. Even though the Sun is relatively quiet right now, there is still plenty of Auroral activity in our ionosphere. The arrival of digital photography has simplified the task of obtaining good images of Aurorae, and astrophotographers such as my friend Alan Dyer have obtained many incredible images of the Northern Lights. In recent years, interest in the Northern Lights has grown amongst the public, and now many tourism operators offer trips to Canada’s North and other northern locations to see the Aurora Borealis. In anticipation of a display in Yukon, I packed my camera and a tripod in hopes of bagging some Aurorae. My first night in Yukon was clear without a display of Northern Lights, but the next night fulfilled my hopes for Aurorae and then some. Here are a few of my images of the Aurorae, the first I have ever obtained. And if these whet your appetite for Northern Lights, there are far better images available at sites such as amazingsky.net .